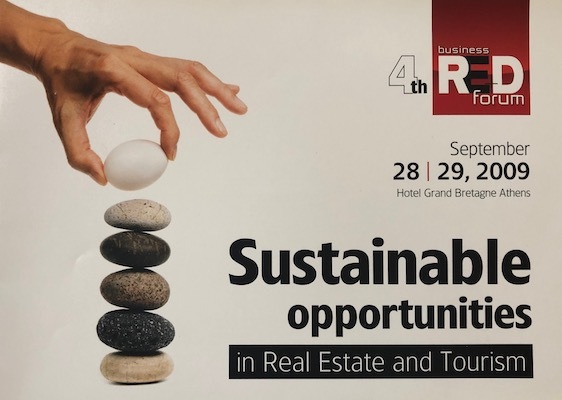 Tassos Kotzanastassis of 8G Capital Partners Limited moderated a panel at the 4th Real Estate and Development (RE+D) International Symposium. The speakers of the symposium focused on “Substainable Opportunities in Real Estate and Tourism”. Tassos group discussion was on distressed sellers vs. distressed propertiesand he lead a team of distinguished panellists through a well-rounded and informed discussion on the current situation. The Business Forum took place on the 28th and 29th of September 2009 at the Grand Bretagne in Athens.